VANCOUVER — On Nov. 29, 1845, the British warship HMS Modeste, under the command of Thomas Baillie, moored in the Columbia River near Fort Vancouver. The ship was stationed near the fort to maintain the peace between British possessions of the Hudson’s Bay Company and American settlers traveling overland to settle in the Pacific Northwest. 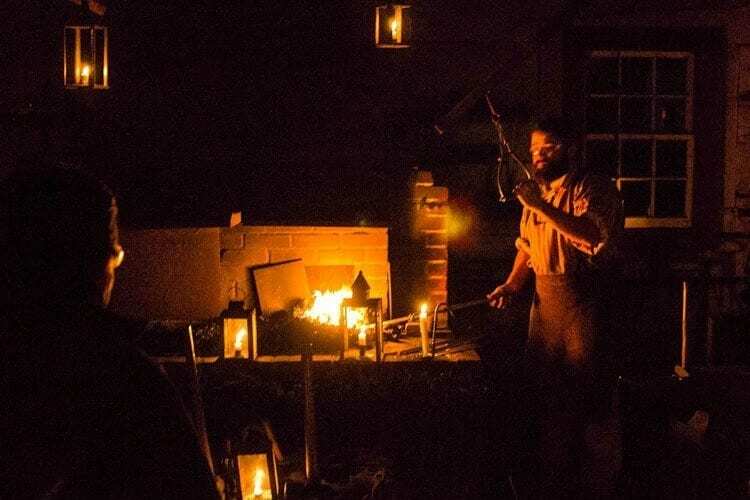 Baillie planned to host a ball at Fort Vancouver as part of his stay, and beginning on Oct., 28, history will come alive as volunteers reenact moments of the preparation for that event as part of Fort Vancouver National Historic Site’s annual Lantern Tour Series. The lantern tours at the Fort Vancouver National Historic Site are divided into two separate events. “Lantern Tour: An Evening at the Fort’’ tours take place within the fort itself. “Lantern Tour: Walking Vancouver Barracks’’ takes attendees on a night time tour of a portion of the Vancouver Barracks. Lantern tours inside the fort not only allow visitors to see the fort at night, lit by candlelight, but also to watch historical vignettes performed by volunteers. Each year’s lantern tours at the fort usually have a unique theme, according to Park Guide Brett Roth. 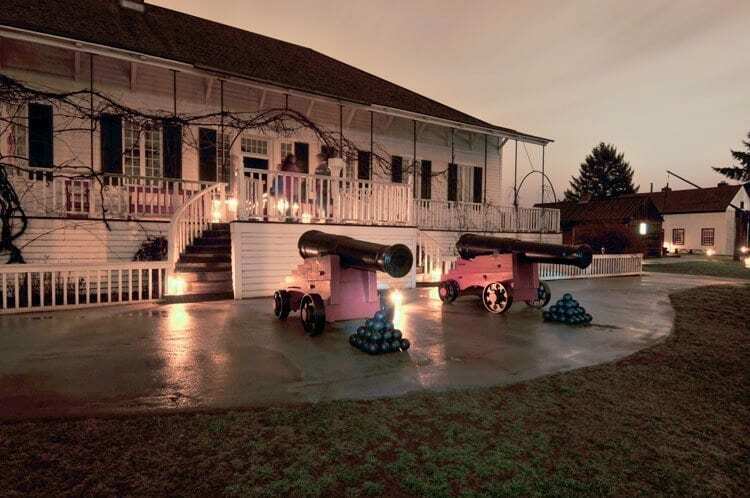 This year’s theme concerns events taking place at Fort Vancouver in preparation for a ball hosted by Royal Navy Captain Thomas Baillie. Each visitor is given a candle lantern, and guided through several buildings within the fort, Roth said. Within those buildings, volunteers in period dress act out vignettes related to the year’s theme. The characters in each scene are based on real people that lived at Fort Vancouver, Roth said. “Coming at night and taking a tour of the fort without any electricity using candle lanterns puts a very unique perspective that a lot of people aren’t going to be able to get from coming during the day,” Roth said. The lantern tours of the East Vancouver Barracks do not feature historical vignettes, Roth said. They focus on the history of the United States Army in Vancouver, from 1849 to 2012, and showcase different aspects of the Army’s history in the region. Roth said that lantern tours have been held at Fort Vancouver for approximately eight years. Tours occur on a Saturday evening each month from October to February. The lantern tours of the barracks began on Oct. 21, but will be held on Nov. 18, Jan. 20 and Feb. 3. 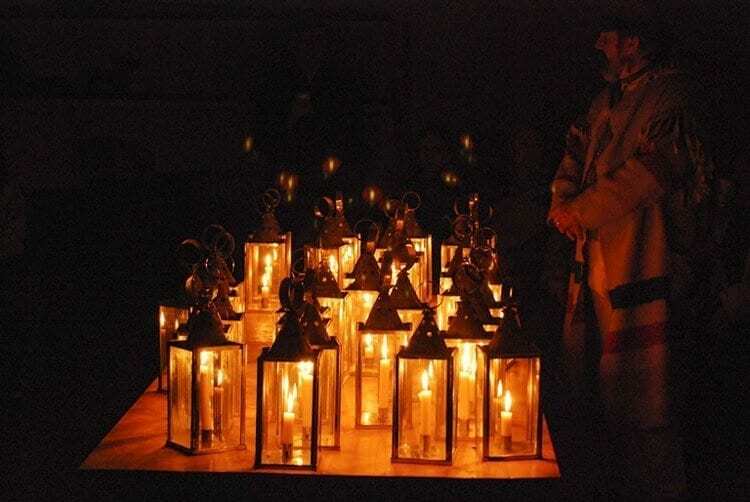 Lantern tours within Fort Vancouver begin on Sat., Oct. 28. Additional tours will be held on Nov. 25, Dec. 16, Jan. 27 and Feb. 17. All tours begin at 7:00 p.m., and require reservations. Tickets cost $20 for adults and $10 for visitors 15 years old and younger. Each tour has a maximum capacity of 90 people. According to Roth, reservations can be made up to the day of the tour, but are distributed in a first come, first served manner. The tours last approximately one hour, but Roth said that attendees are invited to stay afterwards for apple cider and a chance to meet the volunteers who participated in the historical vignettes. Roth said that the tours are not canceled, except for extreme examples of inclement weather, and said that visitors should dress appropriately. They should also expect to stand and walk for the entire duration of the tour. More information can be found on the Fort Vancouver National Historic Site website at https://www.nps.gov/fova/planyourvisit/lantern-tour.htm. Reservations can be made online at http://www.friendsfortvancouver.org/#/fall-and-winter-lantern-tours/.